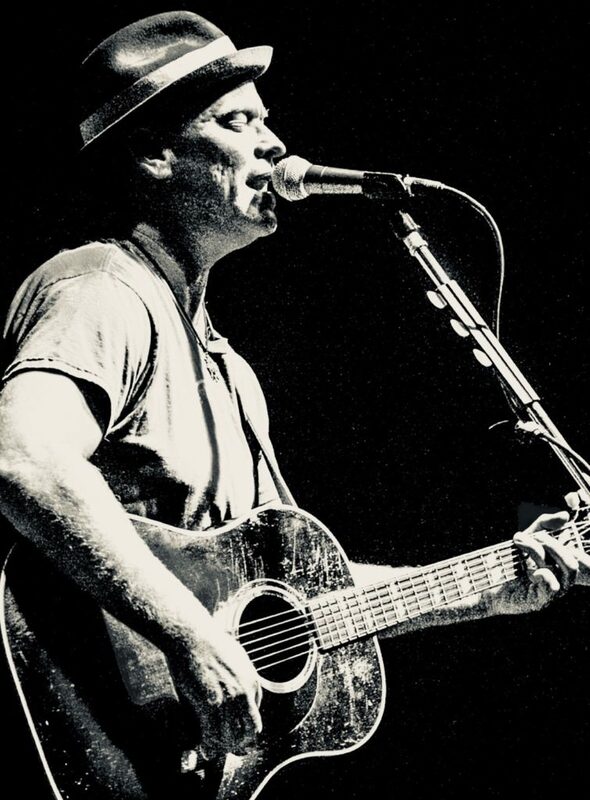 Shawn Mullins (born March 8, 1968) is an American singer-songwriter who specializes in folk rock, instrumental rock, adult alternative, and Americana music. He is best known for the 1998 single “Lullaby”, which hit number one on the Adult Top 40 and was nominated for a Grammy Award. Mullins was born in Atlanta, Georgia. He cultivated an interest in music beginning in his days at Clarkston High School in Clarkston, Georgia (where he made the acquaintance of friend and mentor Amy Ray of the Indigo Girls). Later, he honed his craft in his college days at North Georgia College and State University as a solo acoustic musician and bandmaster of the military marching band (Golden Eagle Band). He attended North Georgia College and State University on an Army ROTC scholarship with an intention of possibly pursuing a military career. Although he quickly abandoned this notion in favor of songwriting, the contract nonetheless obliged him after graduation to serve a short term as an inactive Infantry officer in the Individual Ready Reserve component of the U.S. Army Reserve. He served in an inactive status, reaching the rank of 1st lieutenant before fulfilling his service obligation and resigning honorably. His critical breakthrough came when his song “Lullaby”, from the album Soul’s Core, became a radio and video hit. In the video for “Lullaby”, directed by Roger Pistole, actress Dominique Swain appeared. One of his more famous songs, “All in My Head”, was featured on the hit television sitcom “Scrubs”. This song was written after an e-mail was sent out by the producers of the new show searching for a theme song. Mullins wrote a demo version and sent it in within 24 hours. It wasn’t selected as the theme song, but the demo version was used in a season one episode of the series. Another single, “Shimmer”, was included on the soundtrack for the TV show Dawson’s Creek and was a minor hit. “Shimmer” was also used in Australia as part of its promotional campaign during the Sydney 2000 Summer Olympics and is still considered in Australia as the unofficial anthem of the games. To date he has yet to match the overwhelming commercial success of “Lullaby”, which was also released as a live performance on the charity album Live in the X Lounge II in 1999. In early 2002, he formed the supergroup The Thorns with Matthew Sweet and Pete Droge. In 2006, Mullins released his first album on new label Vanguard Records, 9th Ward Pickin Parlor, as well as a new single, entitled “Beautiful Wreck”, from the album. The single enjoyed modest success by reaching number one on the Americana and AAA (Adult Album Alternative), and was featured in the Cities 97 Sampler Volume 18. On March 11, 2008, Mullins released his second album on Vanguard, entitled Honeydew. On October 12, 2010, Mullins released his third album on Vanguard, Light You Up. For its 20th anniversary, Shawn is revisiting the music of Soul’s Core by recording two new versions of the album. He is calling this Soul’s Core Revival. This is not a remix or a remaster of the original, but rather brand new recordings with new arrangements of the songs – one album will be new stripped down solo performances, some on guitar, some on piano and maybe one a cappella and the second will be a new studio recording with his full band, Soul Carnival.